I first attempted this salami a few years ago. It was an epic swing-and-a-miss. Which might be a good thing, as if it turned out "just OK" I might not have carried the sting of my mistake and kept thinking on how to make it better. And now, a little over three years later, I have delicious lamb salami. 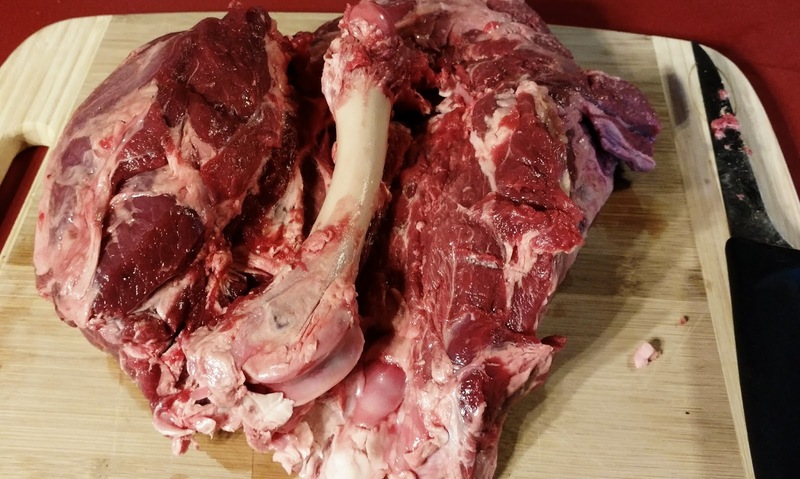 Firstly, I ground the lamb leg, loin, and pork back fat on a small diameter cutting blade, to evenly distribute the fat among the lean. Secondly, I stuffed the casings in budello gentile casings from Butcher's Pantry, which are very thick hog bungs. 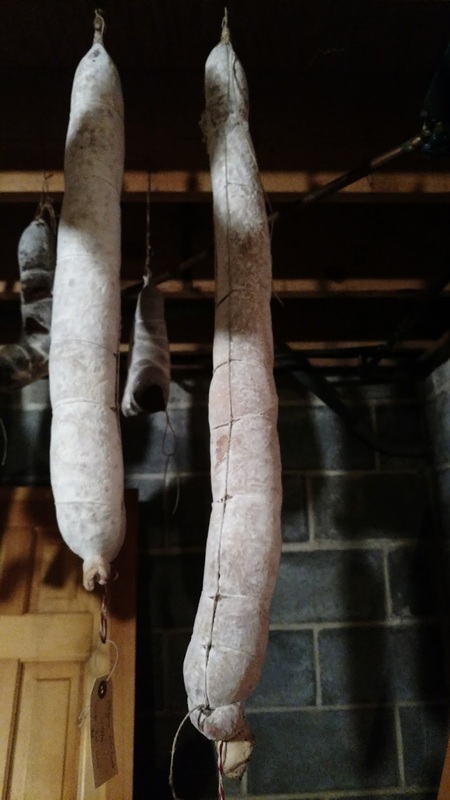 Due to the thickness of the casing, the drying time for the salami is drastically increased, which means the salami will cure slowly, evenly, and allow more time for flavor development. Also, in those three years I would like to think I've become better at curing salami, regulating temp and humidity, and have also upgraded my equipment a bit. Whatever the reason, this salami is a stunner! I stuck with my original seasoning of juniper, garlic, and black pepper. 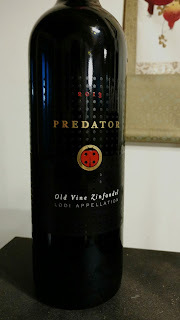 Last time I used an unrecorded "red wine" but this time I seasoned the salami with Predator, an old vine zinfandel. Named after the ladybug, which helps with natural predation of insects that damage grape vines, this was also a wine I gave to the Schoffstall's at their Kune Kune pig butchering workshop. I hoped the ladybug would bring me luck with this butchering project, too. 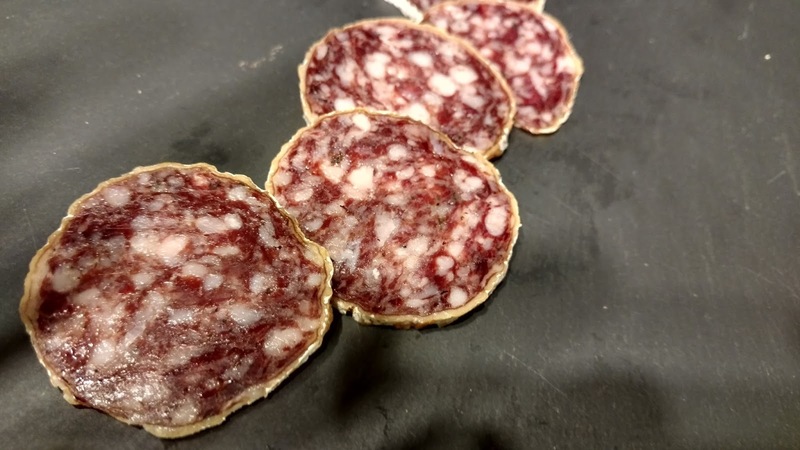 The result is a savory, intensely lamby salami with a rich resinous flavor from the juniper. There's also a bit of sweetness, which might be from the lamb meat, but may also be enhanced by some jammy fruit notes from the wine. sounds and looks amazing. Would I be cheeky in asking for the recipe, please?